Vacay.ca occasionally publishes articles on destinations outside of Canada. In this article, Vacay.ca Managing Editor Adrian Brijbassi reports on his stay at a hotel with a unique connection to Canada. 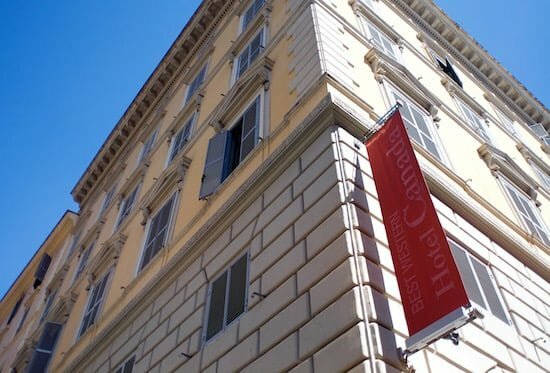 ROME, ITALY — When I enter Hotel Canada, I feel at home and it will take me days before I understand why. Other than its name, the hotel in central Rome is not reflective of Canada in any way. 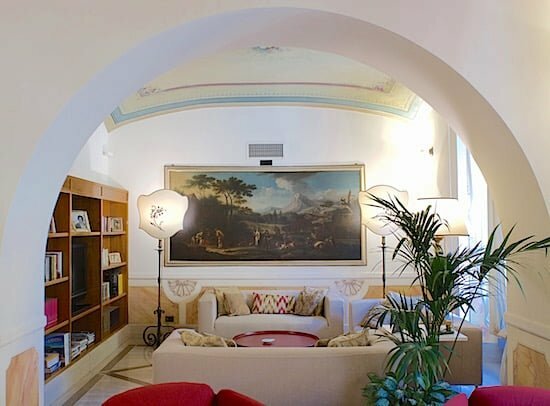 The decor features frescoes from the 19th century and antique paintings and accessories from different periods of Italian history. What Hotel Canada has in abundance, however, is charm, class and comfort, qualities reminiscent of many Canadian establishments I’ve visited over the years and which aren’t all easy to find at mid-priced European properties. It’s the comfort of Hotel Canada that was most pleasant. The rooms feature air conditioning, strong WiFi, high-end stereo systems with ports for mp3 players, supremely comfortable beds, blackout curtains, and well-appointed bathrooms. The room sizes vary, with the smallest being around 225 square feet — which is large for a room in Rome. Hotel Canada underwent a renovation 10 years ago, converting some of its rooms into large junior suites. It now has 72 rooms, with 12 business-traveller-friendly junior suites. It feels like a boutique hotel, with friendly staff, a sturdy iron elevator that seems like an art piece in itself, and a pleasant easiness, a welcome and relaxing feature for travellers in this busy city. The lobby lounge features the Canada Bar, which has excellent prices (2.50 euro for a beer or glass of wine; about $3.65 CAD) and even serves complimentary treats made by Marilena Pucci, the daughter-in-law of the man who founded Hotel Canada. Gioacchino Pucci moved from Montreal back to his native Italy in the 1960s but his heart remained in his adopted country. He and his wife, who could not stand the cold Montreal winters, lived for decades in the property that is now Hotel Canada. The building, built in 1886, was formerly a home for the Italian army before being converted to civilian apartments. The Puccis slowly purchased the other units in the building and eventually gained control of all of the suites. 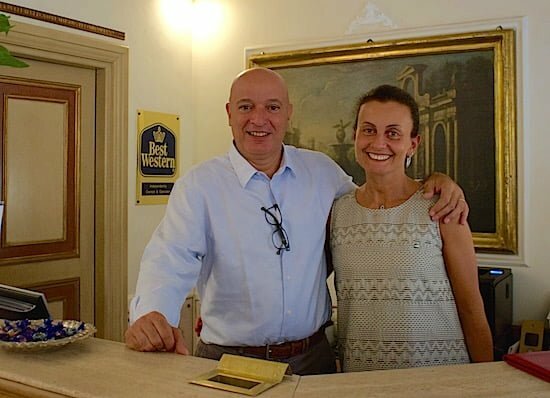 In 1985, Gioacchino Pucci helped to found the European branch of Best Western and Hotel Canada has been part of that property group since. In North America, Best Western is considered a budget brand but in Europe its properties are more up-market. Hotel Canada is an example of the Best Western properties in the Old World. It’s location is superb, too. 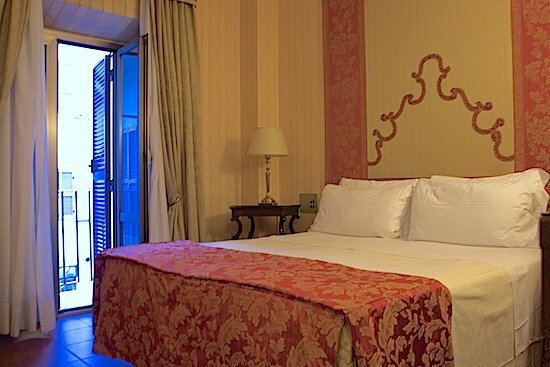 Less than two blocks from the Castro Pretorio subway station, Hotel Canada is within a few subway stops, or 20-minute walk, of many of Rome’s major attractions, including the Spanish Steps and Trevi Fountain. Being one subway stop away from the central train station, Rome Termini, makes it ideal for travellers arriving by air. A high-speed train connects Rome Termini with Leonardo da Vinci airport. Maurizio Pucci says the hotel has a lot of American guests while his wife adds that Hotel Canada welcomes many return visitors. Room Rates: Nightly room rates start at around $150 CAD during summer months. Getting There: Canadians who opt to book their plane trip on Air Transat will depart with direct flights from Montreal or Toronto — I connected there from Vancouver and took advantage of the upgrade to the Option Plus level. This Air Transat option (starting at $59.50 per person, one way; $99 round trip) provides two checked bags as well as a complimentary meal, snacks, small welcome bottle of Prosecco, and an additional alcoholic beverage. It also offers early on-boarding and comfortable seating close to the front of the plane. Once you complete the approximately nine-hour journey to Rome’s Fiumicino Airport, you can pick up your rental car, or use public transit, Uber or a taxi to your destination. I had a poor and costly experience with a taxi driver and stuck to Uber and public transit for the rest of my trip in Italy. Getting Around the City: A single fare on the subway costs 1.50 euro (about $2.20 CAD); a day pass on the subway system costs 7 euro (about $10.25 CAD). It’s the most efficient and cost-effective way of seeing the city. Although the trains can be crowded around rush hour and lack air conditioning, you’re likely to travel only a few stops to the attraction of your choice. There are tour buses that allow you to hop on and off at attractions but they can be caught in Rome’s heavy traffic for several minutes, costing you time.